Getting an optimal amount of nattokinase from its natural source, natto, would certainly make you ill, or at least feel sick, just from the look and smell of a dish of slimy ‘goo’! So many people prefer to get their nattokinase in the form of a capsule. You won’t get sick, or feel sick with a capsule because you don’t smell or taste anything. 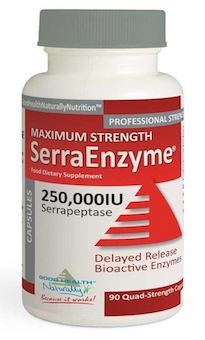 Whatever your reason for taking nattokinase, you need to know how much of this powerful enzyme you can take. Whether you’re taking it to build up a natural barrier to heart disease, or to prevent high blood pressure, or to treat an existing cardiovascular complaint, it is important you know how much nattokinase you should take. If you were to get your daily dose of nattokinase from your natto and soy sauce recipe, then you would not know how much you were taking, because you cannot measure the enzyme content that way. You can only measure the weight of your natto food. This is the reason why taking a nattokinase supplement is preferred over making it yourself, aside from the ‘make you sick thing’! There are pre-made natto products on the market, but you really do need a strong stomach to cope with the smell each time you open the fridge, let alone serve and then eat a dish of it several times a day! 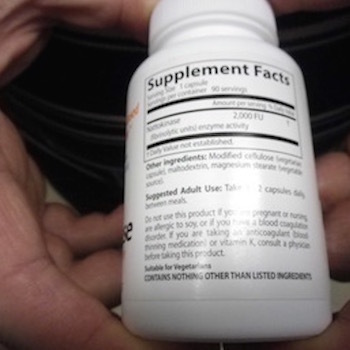 Another reason to use nattokinase in supplement form, is simply because you are told the correct dose on the packaging. The usual dosage is 2,000 – 4,000 FU (Fibrinolytic Units) per day. I take two capsule per day – one in the morning and one in the evening (4000 FU’s), which helps my circulation and regulates my blood pressure. Ten years ago, I was in a car crash which nearly took my life. I spent 4 months in hospital, had a series of major operations and was left with a DVT because of hospital negligence. I now wear compression stockings on both legs, which are really tight, to help my blood flow back up to my heart. They help, but not enough. Which is why I was delighted to discover the health benefits of nattokinase a few years ago. I no longer suffer with the pain and swollen elephants feet, because I take nattokinase. When the packaging of any supplement gives you a range of doses to use, it is always best to start with the minimum amount, and gradually increase the dose to the maximum, if required. What Do Scientific Experts Say About Dosage? While the sciency guru’s don’t fully understand everything about nattokinase, their research and studies do confirm the positive effects of nattokinase on the circulatory system, and that it can prevent blood clots (DVT’s) and it does reduce blood pressure. So, be very careful when taking any amount of nattokinase for the first time. It is a very strong and potent, completely natural product (nowadays produced on a fungal base in a laboratory), but you must remember that if you already have low blood pressure, a dose of nattokinase will lower it even further, which could cause you to feel nauseous and unwell. We recommend you should use serrapeptase if you already have low blood pressure, as it dose not have any affect on your BP. Your age could also be a determining factor on how much nattokinase you use every day, as well as your current level of health. You might only need the lowest dose, but you might need the highest. So, we say again, take the minimum and increase it if you need to. And you can be secure of mind knowing that there are no dangers or side effects to nattokinase, unless you are currently taking an anti-coagulant. It is always a good idea to talk to a medical doctor if you are not in perfect health, he or she might point out something that you would not think of. But, the only problem with this is that they probably haven’t heard of nattokinase as it is an ‘alternative medicine’, and medical professionals refrain (usually), from talking about such things! Either way, unless you have aspirin or coumadin already prescribed by your physician then nattokinase may be a better choice for aiding your bodies natural plasmin, by thinning your blood. Hi Andy, Thanks for the info here about Nattookinase. I only recently heard about this compound. I just purchased 100 grams in powder form to trial it. I am on BP meds (Amlodipine) and a blood thinner (Clopidogrel) this following a stroke in the Occipital Lobe 2 years ago. I plan on stopping those meds and begin taking Nattokinase along with my other supplements Niacin, Magnesium, Potassium, ALA, Red Yeast Rice and Co-Enzyme Q10. To add… I have a have a slight angina problem. To counter any arterial plaque I have been consuming a smoothie made up of Ginger root, fresh lemons and fresh garlic. One glass each morning on empty stomach. I have ordered this: 100 grams of Nattokinase 5000FU/g Powder to try out. Any advice about the above would be welcome, especially advice about dosage. I was thinking of beginning with 200mg x2 daily – am & pm. Thanks. Thanks for your message. I’m unsure of any complications of your complete list, and have not tried nattokinase in any other form than capsule. My only suggestion would be to monitor your INR level and see how your blood coagulation responds. If you’re blood is not clotting normally, you may need to look at your dosage of nattokinase first, if you’re still taking blood thinning drugs. Andy thanks for the quick response. I just re-read the dosage info on this page i.e, 2000 – 4000 FU a day. What is the mg content of your capsules? Re: The 5000FU/g potency/strength of my powder, does the /g mean 1 gram? Knowing that will help me with how much to put in my empty caps. Nattokinase is measured in fibronolytic units (FU), not mg’s .. so I don’t know how to answer your question sorry. But there are 2,000fu per GHN nattokinase capsule. The 100g of nattokinase powder came with directions on the packet which I belatedly discovered. Recommended dose is 0.01g – 0.0.3g x 2 per day. I began with the lower dose and gradually tweaked it up to the higher dose. I bought 000 gelatin capsules and used a 10mg micro scoop to fill the caps (33 scoops = 330mg or 0.03g taken twice daily on empty stomach) I recently attended my annual diabetes checkup and both my cholesterol and blood pressure were normal. I had stopped taking prescribed meds and was taking only Nattokinase powder. My Diabetes Consultant/Doc had never heard of Natto but he was impressed with my Lab Report. Good result and I’m happy. That’s great news Tony, thank you for the update. Thanks for your message, I’m happy to read that nattokinase has helped you. i had sepsis i have not had aswer as to the ause? Hi Simon, thanks for your message. Yes, I believe that nattokinase would help you further, plus, try increasing your dosage of serrapeptase. I would love to hear more of this product. I get short of breath Goin up and down stairs. Asmatic . Upper Respiratory. US 100MG Is Enough ADAY OR more? Should I take both enzyme? Hi Dorothy, thanks for reaching out. Try serranol, which I believe would help you more (find it on our recommended supplements at the top of this page). Take 2 x 3 capsules per day until you see relief, then reduce to 1 x 3 capsules. There is a theoretical risk of bleeding by taking both. Have you thought of taking nattokinase with serrapeptase instead. Aspirin, of any nature has potential long term side effects, and both enzymes together might work best for you. Sorry Beata, I cannot offer any advice on this occasion. But, I hope your daughter finds relief very soon. hello I was recently diagnosed with a retroperitoneal bleed post lovenox for blood clots post placenta Previa and c section. I am looking to add this instead of going on Coumadin and lovenox again. I have a large clot that I would like to dissolve and also prevent further clots. How long is it recommend to take nattokinase? Should it be taken indefinitely? There are no side effects to nattokinase Cathleen, so (as far as my research indicates) you can take it as long as necessary. 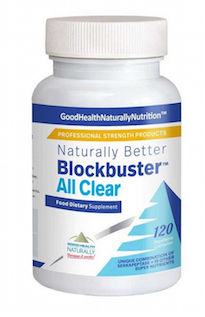 But I would recommend a combination of both nattokinase and serrapeptase for your condition, Blockbuster Allclear (see the recommended products page for more information). This will help with blood clots and also keep your blood system healthy. For more information, please sign up for our newsletter below and I will send you a 240 page book for free, which you can read more about these and other natural products, which doctors would never (usually) recommend..! Take good care of yourself Cathleen. There is still much research to be done on enzyme therapy Cathleen. In theory, you should be able to stop once to clot has dispersed, but I have similar problems and prefer to take serrapeptase permanently, and nattokinase in 3 month stints on top. This works best for me, but you would need to find your own best dosage. I was diagnosed with essential hypertension and have been struggling to get my BP down. Now, I also have been advised of a possible stroke risk, therefore the doctor prescribed me baby aspirin in addition to BP meds (lisinopril, HCTZ and propranolol). For the first time in my life I feel “sick” and I’m 37 years old. I have been maintaining a BP of 122/85 but want to be better. I also want to get off the baby aspirin. Can Nattokinase help? I’ve searched through the reviews and not many reflecting someone in my situation. Hi Desmond, thanks for your message. Have you read our article on this topic .. if not, please use the search button and you will soon find it. There is a single comment at the bottom of the page from Maria (I think..), who used nattokinase and lowered her own BP. 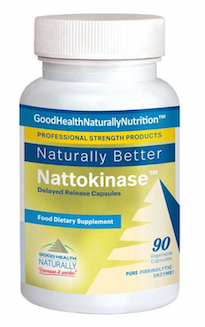 But, to answer your question here .. yes, I believe you could benefit from taking nattokinase! Good luck Desmond, I wish you the best of health. Please come back and give our readers an update sometime in the future please. I had a eye stroke, (crao, leaving me blind in my left eye) was told to take at least a full strength aspirin daily. I am terrified of an 2nd eye stroke in my good right eye. I have been taking Nattokinase and Serrpeptase for 2 months now. While still taking a baby aspirin. I am wanting to drop the aspirin all together, but so afraid of a 2nd eye stroke. Now, I am having signs of minor bleeding in my nose. I am thinking it’s safe to stop taking the baby aspirin now. But for now, I will continue to take my garlic & Turmeric tabs, but will alternate them. One day garlic, then next day Turmeric. What do you think? Would love your input. Donated blood last week and everything went fine. My donation bag seemed to fill up faster than before. Hi Annie, thanks for the contact. And I’m very sorry to hear of your poor eye health. It sounds like you’ve answered your own question Annie, if you’ve noticed ‘thinner’ blood. But, be careful you are not still taking too many anti-coagulant supplements, even if they are of a holistic nature. If you still get nose bleeds etc after stopping the aspirin, maybe think about reducing the curcumin/turmeric to and see if it helps. I have a blood clot in my liver. I take lovenox daily. the doctors tell me there is no way to dissolve the clot. Is nattokinase going to help it dissolve. I’m not 100% sure .. but as there are no real side effects with nattokinase, why not try it (but check first, that there are no reactions with the drug you are already administered). I was diagnosed with idiopathic pulmonary fibrosis two years ago. I was coughing up thick mucus all night and day. They said there was nothing to cure it but there was a medicine to help you live with it with a cost of thousand of dollars per month. I searched the internetor help and I found serrapeptase and food grade hydrogen peroxide. I take three of Drs Best serrapeptase two or three times daily. I take the peroxide 15 to 25 drops in a glass of water two or three times daily. I now never cough at night and very few times daily I am a true believer.. Thanks for your contact .. I am really happy that you find this enzyme helpful to your health. Is it ok to keep serrapeptase and nattokinase in the refrigerator? My kitchen is about the same temperature as a refrigerator now (in winter..), so I think so. can you take serrapeptase and nattokinese together on an empty stomach? Yes. That’s how I take them. I read on your blog about Nattokinase being used to lower blood pressure and help prevent clotting. But, what about its use to replace Coumadin for someone who has a current blood clot? Thanks for your message Bob. Read through the comments and you will find out how others have been successful with Nattokinase. When I was young I was diagnosed with Rheumatic Fever. I am allergic to Red yeast. Does Nattokinase have red yeast. Sorry for the delay replying, I’ve been away for a little while. I don’t know how red yeast is derived, but there is none in nattokinase. I think you should be safe to take nattokinase, but if you are considering it for anti-inflammatory purposes, have you read all about serrapeptase? It may suit your condition better for that reason. Hi Edward, and thanks for your message. You’re right, some doctors won’t even hear of a natural product being useful. This, I believe, is because the pharmaceutical industry creates too much fuss and makes too much money about their drugs – to put it lightly. I would not like to suggest a dose for you, all I can do is tell you what does I took, which was double the recommended dose of Good Health USA Nattokinase. I hope this helps, but if you find a doctor that DOES believe in natural products, please come back and inform us. Thank you. What effect does taking natto have on balancing cholesterol LDL, and HDL? Thanksd for yuor time, And. Thanks for the contact. Nattokinase is a natural blood thinner/anticoagulant, which is beneficial for any level of heart function. Better blood flow and clean blood goes a long way towards fighting bad cholesterol. I have been on warafin since 1991 when i had two artificial heart valves put in my heart. able to get my doctor properly informed. I would appreciate your help in finding this information. Hi Verne, thank you for your message. Did you find out everything you needed on our site? Hi Andy, I’ve just been diagnosed with very high blood pressure (2117/106) & was told by the doctor that it’s just old age (73) so he won’t order any tests. Because I’m a Homoeopath, I don’t believe things can go so horribly wrong without a tangible cause. I was almost fatally poisoned by pesticide’s 16 years ago & have been struggling with my health ever since. Detoxing is painfully slow due to the massive quantity in my body & the subsequent inability of my detox pathways to cope with large amounts. I’ve begun to take 80,000 x 3 caps of serrapeptase & intend to build it up over time. Having just found out about Nattokinase, I would like to add it to my regimen but am unsure how much to take. I believe the inflammation of my blood vessels & indeed my whole body has caused narrowing of my arteries & thickened my blood. If I can clean them out, thin my blood & continue to detox, I think I’ll be on a winner! Could you give me an idea of the amount of Nattokinase, now that I’m also taking the serrapeptase please. Many thanks. Thank you for your message, I’m sorry to hear of your troubles. 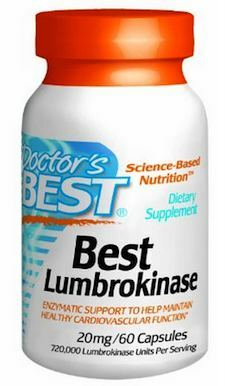 Please remember that I am not a doctor, just a health enthusiast who found the benefits of nattokinase. I take the recommended dose and it works wonders for me. Just two capsules per day is enough to thin my blood, I recently clarified this when I cut myself (by accident). The bleeding took twice as much time as usual to clot and stop. It works great for my blood circulation as a result. I would follow what it says on the bottle, start off with one tablet and then maybe increase to two if you notice slight changes.